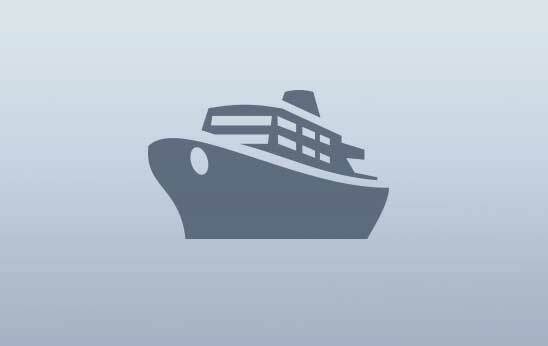 Are you ready for the adventure of a lifetime along the Wild Atlantic Way? Raging surf. Emerald forests. The way the land juts proudly out into the ocean. The combination of colossal forces creates pure poetry along the shores of the Surf Coast. 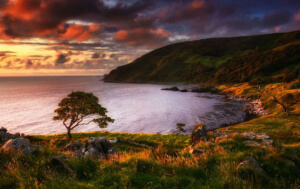 Thrill-seekers looking for the next adrenaline rush, creative souls looking to feed their spirits, and those with a simple appreciation for nature's raw beauty – all will find what they're looking for along this fine stretch of the Wild Atlantic Way. 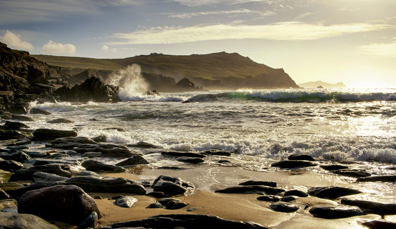 Let yourself be carried away on the wild waves of the North Atlantic, and by the sweet words of poet WB Yeats. Sculpted over a millennia, this is one raw view after another, with the Atlantic regularly producing the perfect storm to light up surf spots along the coast. 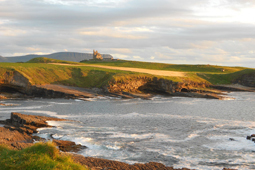 Donegal's Bundoran, Ireland's surf capital, was listed in the top 20 surf towns in the world by National Geographic. If you’re new to the waves, Bundoran Surf Co runs lessons for all ages and fitness levels so everyone can make the most of the Surf Coast! In June, the Sea Sessions Music Festival at Bundoran lights up the beach with swirling carnival lights and pumping tunes. Sligo's Mullaghmore Head is home to what professional surfers agree is one of Europe's premier big wave locations! Watch in awe from the beaches, as surfers navigate the water, tumbling in and out of the surf. Not a surf fan? Head to Classiebawn Castle, where the ocean swells beneath the turrets and towers. Then take a moment to look over the horizon to the profile of Ben Bulben, which fills the skyline. 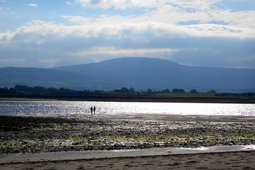 Linking Streedagh Point and Conor's Island, 3km of soft, golden sand make up Streedagh Strand. Paddle through the waves and look out over the reefs, where ships from the Spanish Armada sought shelter from a raging sea storm in 1588. Keep your eyes peeled – the limestone outcrops here are home to ancient fossils, formed over 4 million years ago. Get lucky and you might spot one! From ancient to modern, visit the craft village in Rathcormac. Springing up around Dave McLoughlin's Ben Bulben Pottery Studio, this tranquil hub of creativity crafts exquisite designs. And you can watch him as he works, too. Not your average pooch, meet Martin Feeney's award-winning Atlantic sheepdog, who will show you the art of sheep herding in the Irish wilderness. Love the humble spud? 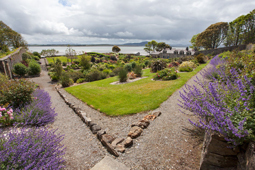 You’ll love Lissadell House, then! In the grounds, you’ll find a staggering 180 varieties of potatoes – one of the largest collections in the world – lovingly tended in the Victorian kitchen garden. On Lissadell beach, meanwhile, the loud honking calls of barnacle geese create both a distinctive soundtrack and a remarkable spectacle. Wander through the woods around Leitrim's Glencar Lake and you'll come across the glorious waterfall, sparkling in the sunshine, made legendary by WB Yeats in his poem “The Stolen Child”. To Yeats, Sligo was "The Land of Heart's Desire" – the place that inspired his most beautiful poetry, reflecting the sense of peace and serenity he felt whenever he was here. 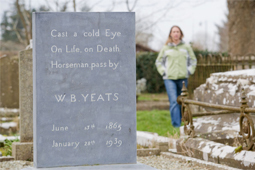 Yeats himself is buried at Drumcliffe Cemetery. You can also feed your cultural appetite at the Yeats Experience – be welcomed into the home of Damien Brennan and Paula Gilvarry, Broc House, where you can dine out on some of the finest local organic produce, crafted lovingly by the hosts, before spending an evening by the fireside, as you're serenaded with some of the Nobel Laureate's best-loved poetic pieces. Jutting out into the sea, this ancient land of stalwart cliffs and boggy marshes reveals its secrets slowly to curious explorers. How do pancakes with chocolate chips, pomegranate, maple and Donegal yogurt sound for breakfast? Kickstart your day at award-winning Nook Café and Restaurant in Collooney, before heading for the hills. Or hill to be precise. Although the Irish for Knocknarea translates as "hill of the king", it is a queen who reigns here at Strandhill. At the tip of this hill is Queen Maeve's cairn. This mound, dating back 6,000 years, looks out over a sweeping panorama of sea, mountains and clouds. Continue along the Dunmoran/Aughris coastal walk, and you'll come across the remains of deserted villages, where herdsmen used to live during the summer months, now left abandoned to the wild winds of the Atlantic. Treat your body and your soul at Voya Seaweed Baths in Strandhill, and let your worries and cares melt away. Or go full adrenaline rush at Strandhill Surf School. It's time to earn your supper! 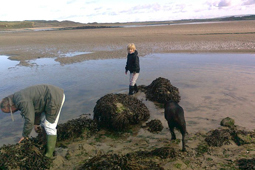 Forage for your food along the Killala Bay shoreline, with Wild Atlantic Cultural Tours in Mayo. Denis Quinn, the owner, is happiest when he's outdoors, sharing his expert knowledge with others. 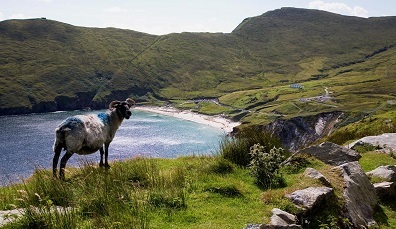 He'll guide you along the coast in search of tasty wild morsels, sharing with you his recipes, and all while you take in one of Ireland's most scenic areas. The tour ends with an outdoor seafood feast, so you can sate your curiosity, and feed your body all at once. 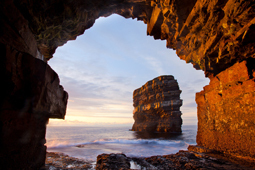 Downpatrick Head stands at nearly 40m (126 feet) above the sea, with unparalleled views over the waves and out towards the Stagg Islands. 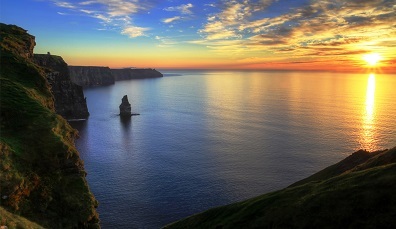 The cliffs were once connected to the striated Dún Briste (Broken Fort) sea stack by a rocky arch, which collapsed in to the sea in the 14th century. Rich in flora and fauna, especially nesting sea birds, Downpatrick is where St Patrick chose to establish a church. Today, pilgrims travel from all over the world to visit the holy well and stone cross that mark this land. 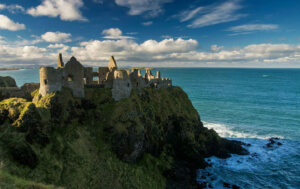 And, in more modern times, Downpatrick played a role during World War II – stones spelling out "ÉIRE" still stand on the cliffs, defining the coast of the island for planes flying overhead. Secrets from the Stone Age can be found amongst the Céide Fields, where bogs and fens keep safe their 5,000 year old treasures. Panoramic views of ocean and mountains sweep down to the bohemian jewel of Galway city. 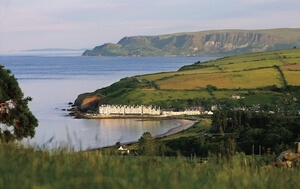 Dramatic cliffs and a lively traditional music scene lead on to one of Kerry's golfing greats. 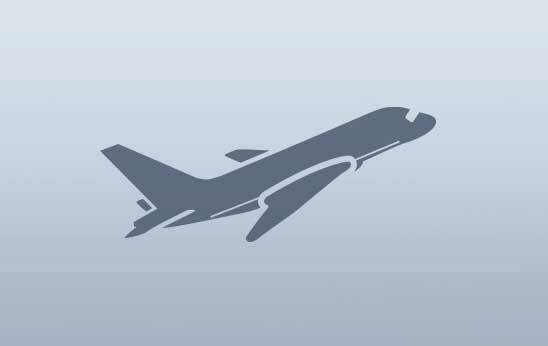 From €87.00 per room, per night. 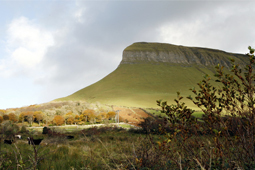 Ben Bulben, big waves and literary legends come together along the dramatic coast of County Sligo. Looking for walks in Ireland? Here's six that shine, as chosen by the pros. Want free summer fun? Well, we’ve got the 30 best free things to see and do in Ireland this summer. From stargazing to dolphin chasing, we've got the best activities to take you through the summer - for free. 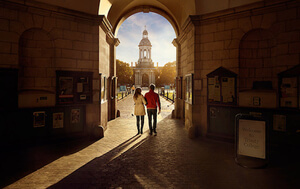 Historic theatres, record-smashing productions and our greatest actors all take centre stage in Ireland.